We Live In A Political World: #19 / Finite? A few weeks ago, I came across an article from The Guardian (Australian edition). Originally published on September 1, 2014, the article was titled, "Limits to Growth was right. New research shows we're nearing collapse." The 2014 article was a revisit of a famous 1972 book, commissioned by The Club of Rome, entitled Limits to Growth. How about that? 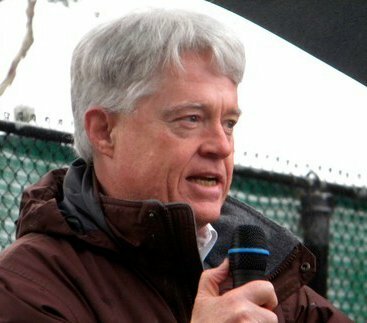 The statement that "the earth is finite" has been "much criticized?" To all such critics, a free subscription to this Two Worlds blog! 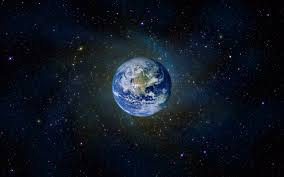 The Natural World, which sustains all life, is commonly called Planet Earth. Check it out in the aerial view presented below. Note that it's large (but finite). That's pretty much it, folks; that's all we've got. Check the charts in The Guardian article, and consider the meaning of that fairly weird looking icon at the top of this column. Right now, we are all whizzing through space on an amazing planet which we call the Earth. This planet is a discrete entity, whose finite life support systems are all on board. 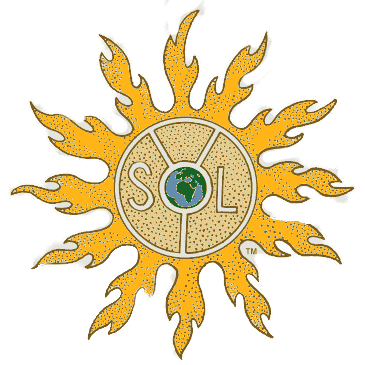 These systems are powered by energy from the sun, its “mother ship.” This residential program is referred to as “Sunship III” because it’s all about our Earth, the third planet from the sun. 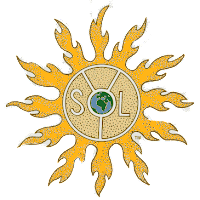 So, now you know what that weird "SOL" is all about, from the point of view of The McKeever Environmental Learning Center. If we don't learn the lessons that the McKeever Center is trying to teach, and grasp the fact that the life support systems of Planet Earth are "finite," then we can probably reuse the icon, but with a bit of a twist. That's just where we are if we don't pay attention to the finite environment that sustains our life, and if we don't make sure that we don't push it beyond its limits. The Club of Rome, and now The Guardian, have been checking the dials and charts.